He went on to argue that the economy won’t stabilize until the housing market recovers, and that federal intervention will be required to speed that process along, much like what happened during the resolution of the savings and loan crisis during the 1980s. When Will the Recession End? 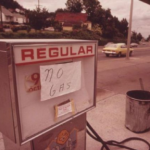 How long will oil prices stay low — and what should you do? how the F do you get to call this a recession without the 2 straight quarters of falling GDP? I don’t care if we are “about to” go into one, we are not in one – yet. Maybe they’ll just make up a new number or name for this, like “core recession” or some crap like that. Only the government can make up as much crap as they do. Am I the only optimist here? I’d like to think that we really aren’t going to get hit hard. Sure, some groups are going to get bent over without the possibility of getting a hug or even a call the next day. But let’s face it – they probably don’t deserve it. I agree with the previous comments and Alan G’s comments – we are heading for a very rough time. This is the time you need to plan for the worst (eg having 50% in cash or investments outside the states). Make more mortgage payments if possible as well to give yourself a buffer as well. Oddly enough, Businessweek has Uncle Ben on the cover. Could Alan be jealous? Doesn’t he know the definition of recession? 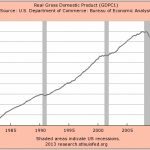 Recession isn’t slow growth or even zero growth. It’s two consecutive quarters of negative GDP growth. So far, we are not in one officially. We’re definitely in one emotionally, though. Good, at least we know they screwed us “professionally”! Greenspan was a fool. It was his direct lending policy that caused the housing market crash. He has been declaring all of this as not his mess even before he left his position. One thing he did do right, was to leave his position when he saw how much he screwed it up, instead of staying in to try to correct it. You don’t just leave Fed rates low for years, then hike it back up and leave office. UGGHHHH, he even wrote a book about how it wasn’t his fault. I hope he takes his guilt to his grave. This is just the beginning of a long recession. Just like the great depression started in 1929 and it took until 1931 for the stock market collapsed. 2008 is like 1929, just wait until 2011.